D-rings are sewn into hem every 24"
Cable tarps are commonly used to enclose open top trailers that haul wood chips, wood shavings, saw dust, or bark. Chip trailers normally have a front mounted ladder or cat walk the operator will climb to open the top. 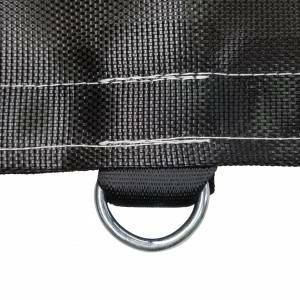 Down both sides is a steel cable that is used to secure the tarp as well as create a guide for the tarp to slide on. 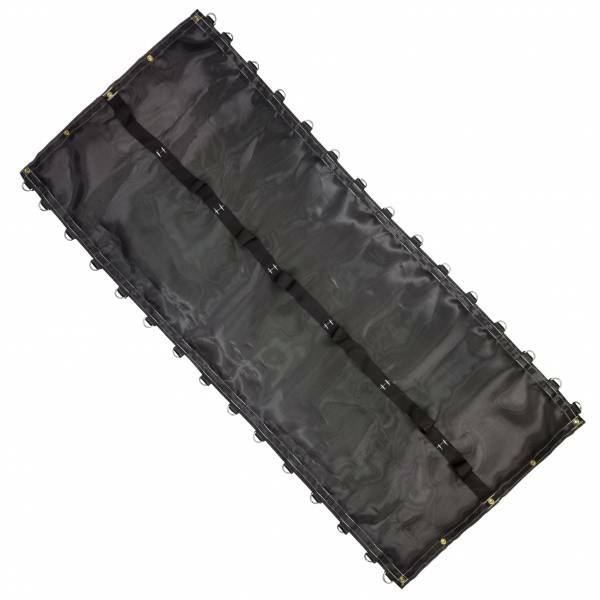 The tarp width purchased usually matches the measurement from cable to cable. The side mounted D-Rings add an extra 3" of width to make the fit a little loose which is often beneficial should the cargo protrude above the top rail. 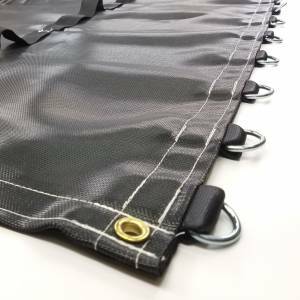 The tarp length selected should match the measurement from the leading edge of the front bulkhead to the back of the trailer. The front of the tarp will be built to match the trailer width and shape. Most trailers are square across the front but many brands like Peerless have angled corners and the tarp will need to be shaped to match for a proper fit. 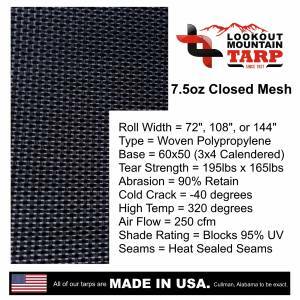 This replacement cable tarp is built using our 7.5-ounce polypropylene closed mesh fabric. 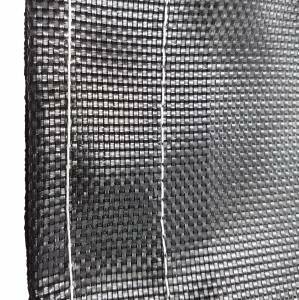 The material has a tight weave that is 95% solid which allows water / air to flow through while still containing fine particles like sand. 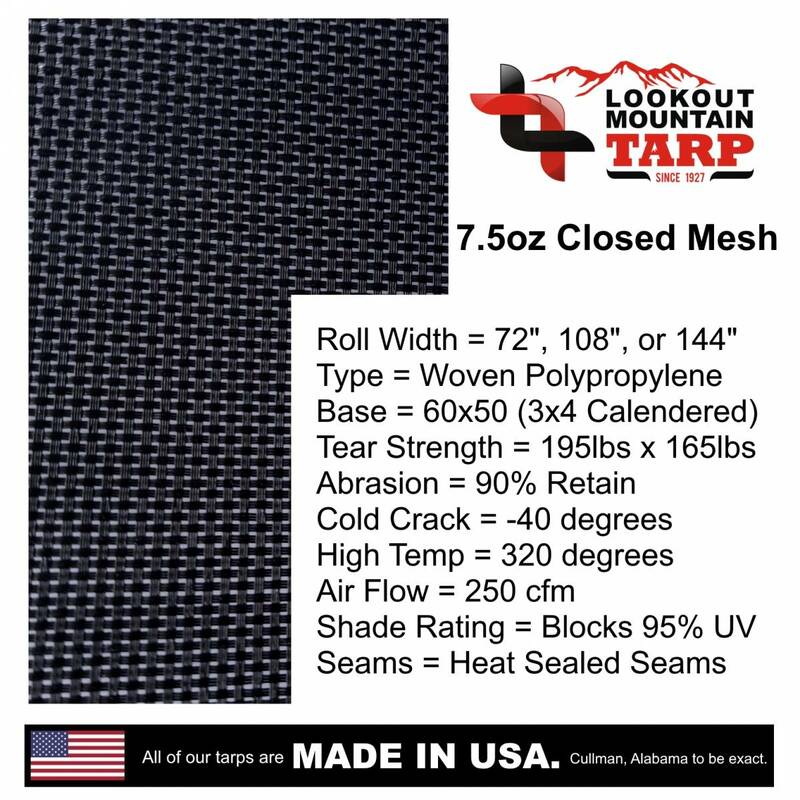 Unlike our other fabric options this material comes on a roll wide enough to allow for seamless construction up to 11.666' across. It features a slick calendered finish that may reduce wear for trailers that are loaded from the rear by a chipper. Our standard cable tarp design is a rectangular shape with grommets in the front, D-Rings on the sides, and grommets in the rear. 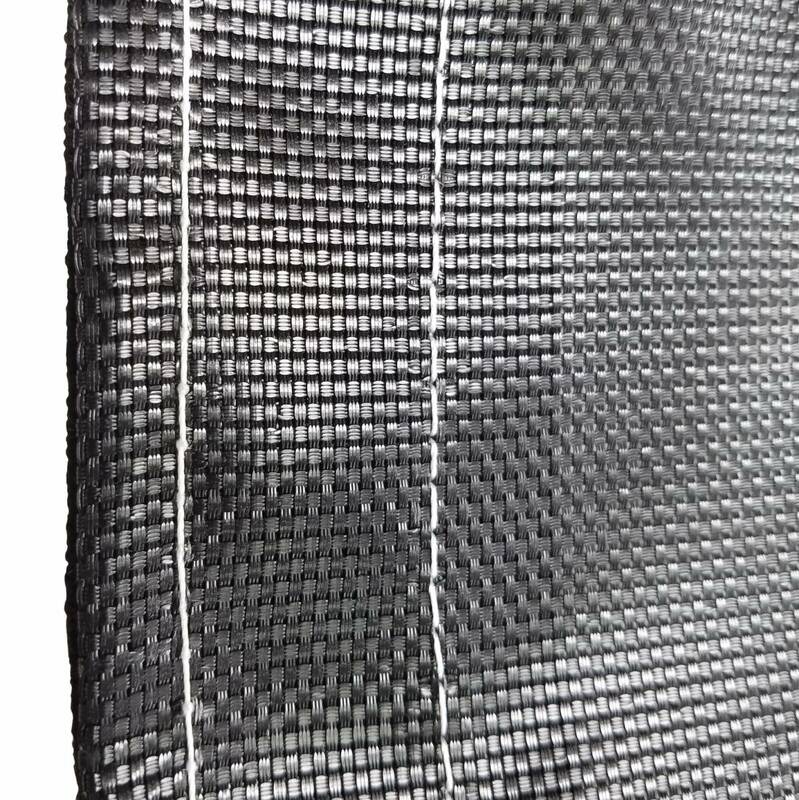 The perimeter of the tarp is folded over creating a 2-ply thickness known as the hem plus we boost the tarps tear strength by adding reinforcement webbing. The D-Rings are triple stitched using our heavy duty 277 polyester bonded thread to ensure long life. 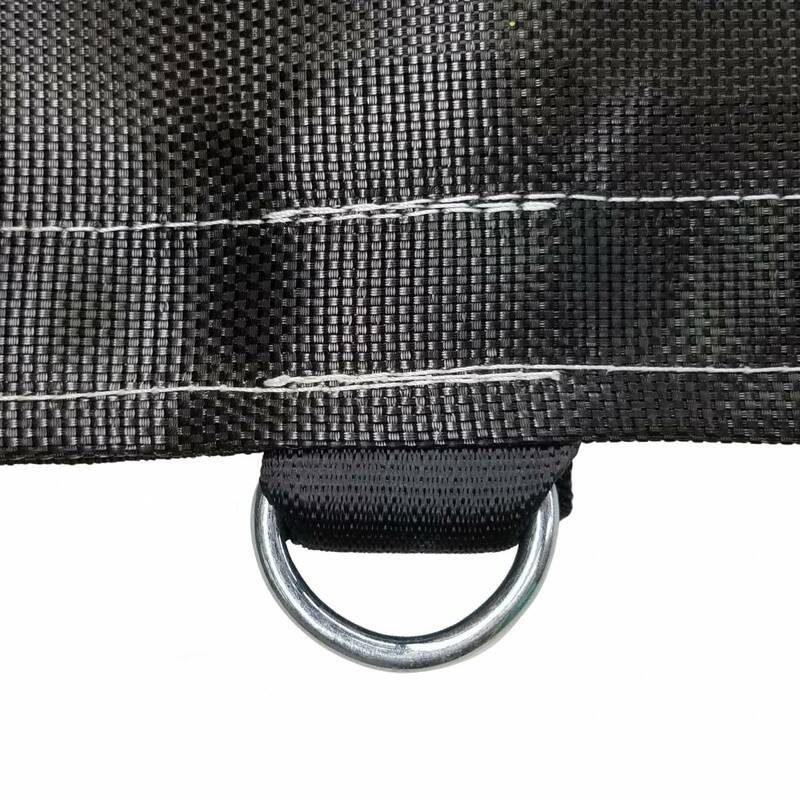 The center pull strap is one long piece of webbing that is attached to the topside of the tarp about every 28" providing loops the operator can easily grab to open the trailer top. 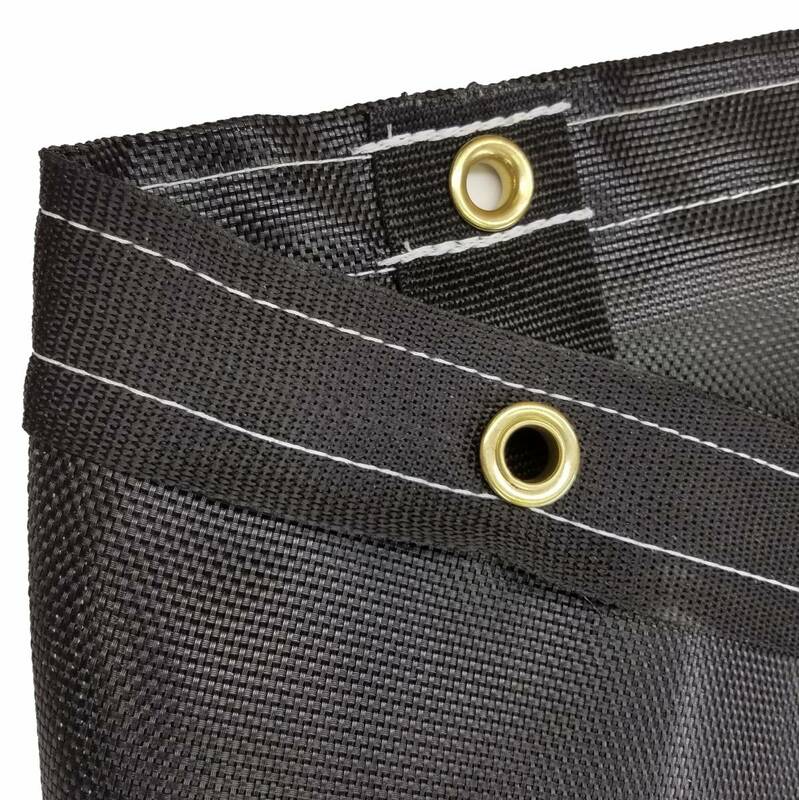 About half the cable tarps we build are ordered with a tail flap. This flap hangs 18" over the back of the trailer. It will be centered on the tarp, built to match the trailer width, and features a tapered shape that is 9" narrower at the bottom. Brass spur grommets will be secured using bungee cords during transport to reduce wind whip.